A standard medical test that could have been done for a tenth of the cost. A doctor’s momentary lapse in attention that led to grievous injury—or even death. An upside-down health care bureaucracy that makes poor patients pay the most for treatment.The “medical-industrial complex” that brought miracle cures to the 20th century has also raised profound questions about value and values. Harvard School of Public Health researchers—operating at the intersection of medicine, economics, social science, law, and ethics—have been world leaders in decision making science and in assessing the impact of increasingly complex delivery systems on population health and well-being. Our faculty has transformed national health systems around the globe. And our alumni have set an enlightened public health agenda, serving in the most prestigious leadership positions in the field and in governments worldwide. First it was headaches, then crippling fatigue so bad he could barely get out of bed. Finally, on Christmas morning 1961, John Myers awoke to a terrifying sensation—an uncontrollable cough, grotesquely swollen face, bloody nose, and racing heart. Myers had entered the final stages of kidney failure. These spiraling costs posed difficult problems. How could the nation rein in expenses while ensuring quality treatment? Since the early 1970s, Harvard School of Public Health faculty have addressed questions like these through rigorous research into the scientific, political, legal, economic, and emotional issues that surround medical care. In the process, the School has helped shape today’s major debates around health policy, both in the U.S. and abroad. As a nephrologist, Howard Frazier saw firsthand how dialysis gave new life to patients with late-stage renal failure. He was troubled, however, by what he saw as a lopsided approach in the use of these treatments. As Frazier, then professor in the Department of Health Policy and Management, recalled in a 1997 interview, the nation was channeling thousands of dollars each year to treat sick patients in the early 1970s, but relatively little money to care that would have kept them healthy in the first place. Howard Hiatt, then HSPH dean, shared Frazier’s frustration. In an effort to fight the growing inequity in American medicine, Hiatt teamed with Frazier in 1972 to form the Center for the Evaluation of Clinical Procedures (CECLIP), later renamed the Center for the Analysis of Health Practices. From its dusty basement office at 55 Shattuck Street, the group became a sort of internal think tank, recruiting faculty from many different disciplines to examine medical policy through the lenses of economics, statistics, management, biology, law, even engineering. By 1977, a University-wide seminar organized by Dean Hiatt produced a landmark book, The Costs, Risks, and Benefits of Surgery—a volume that laid the groundwork for evidence-based medicine, using as examples a wide range of surgical interventions, from gallbladder removal to hysterectomy. CECLIP also applied the concept of “cost effectiveness” research—a type of analysis that can help determine which programs have the biggest health bang for every buck spent on care. Research of this sort might, for example, weigh the costs and health benefits of coronary bypass surgery against a drug regimen that lowers patients’ overall cholesterol level in an attempt to identify the more effective treatment. The cost-effectiveness model, however, has seldom guided choices in medical practice in the U.S.—in part, many experts say, because it is difficult to change doctors’ “defensive medicine” practices and patients’ high expectations for treatment. Cost-effectiveness analysis also stops short of pinpointing factors that drive up expenses. Figuring out the comparative efforts and skills required to deliver a range of medical services, procedure by procedure, proved to be a nearly impossible task—until William Hsiao, the K.T. Li Professor of Economics at HSPH, took on the challenge in a groundbreaking and controversial study in 1986. In the mid-1980s, services and procedures could be paid at widely varying rates under Medicare and Medicaid. A doctor who spent an hour making a lifesaving diagnosis might be paid $40, yet that same doctor could earn more than $600 an hour removing polyps during a colonoscopy. So how could hospitals begin to determine the “real” value of each procedure? In 1985, HSPH’s Hsiao set out to answer that question. The key to measuring value, he reasoned with economic theory, lay in finding the average amount of work a physician had to do to perform a procedure. The more time, skill, knowledge, and effort it took, the more the physician should be compensated. Figuring out the exact amount of “work” a doctor performed was no simple task, so Hsiao cast his net widely. For months, he and a large team of researchers developed methods, conducted interviews, and surveys with thousands of doctors from dozens of specialties, painstakingly ranking each task. From this data, Hsiao’s team assigned each procedure a score called a “relative value unit,” or RVU. Installing a coronary artery stent would score 24 units; reading an EKG printout, a mere 0.5 units, and so on. Within three years, Hsiao and his colleagues had developed these scores into a system he called the “resource-based relative value scale” (RBRVS), a comprehensive list of RVUs for all the tasks covered under Medicare. Equipped with this scale, hospitals could tally up a total score per patient, multiply it by a set dollar rate (about $40 per RVU in 2009), and pay the resulting amount to a doctor—meaning Hsiao’s team had, for the first time, effectively standardized the cost of medical procedures. But the RBRVS—which Hsiao had conceived as a rational means of allocating medical dollars—took a paradoxical turn. Today, the system is blamed for the very problem it tried to halt: rising health care costs. In its original form, RBRVS would have led to a drop in specialists’ incomes and a rise in the incomes of primary care physicians. But according to Hsiao, powerful specialty groups altered the original values to create a flood of well-paid specialists and a drought of low-paid primary care physicians. 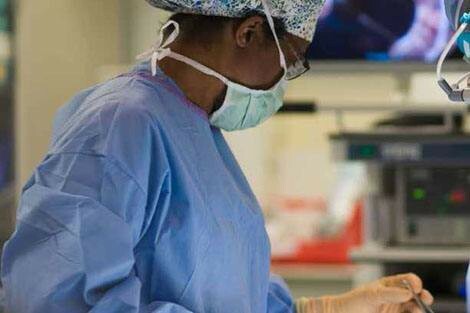 The World Health Organization’s Surgical Safety Checklist can help avert mistakes in the operating room. While some HSPH efforts to reduce health care costs have yet to be widely adopted, others have caught on almost instantly. One is the drive to minimize surgical mistakes and the long-term medical expenses they generate. Each year around the world, well over 200 million major surgical procedures take place— sometimes at the patient’s peril. In industrial nations, 3–16 percent of inpatient surgeries result in major medical complications. In developing countries, 5–10 percent of surgical patients die. And around the world, infections and other postoperative problems pose serious health threats. About half of these complications may be preventable, through an astonishingly simple approach: safety checklists for medical practitioners. Beginning in 2007, under the leadership of Atul Gawande, professor in the Department of Health Policy and Management, HSPH and the World Health Organization (WHO) developed a 19-item surgical checklist. Before anesthesia, for example, the checklist requires confirmation that the patient has a safe airway and proper intravenous lines for resuscitation. Before making a skin incision, the surgery team must check off that it has verbally confirmed the patient’s name and the site of the procedure. In a 2009 paper in the New England Journal of Medicine, Gawande and his colleagues found that surgeons using checklists missed minor steps in only 6 percent of surgeries, as opposed to 23 percent without checklists, leading to a dramatic difference in outcome. 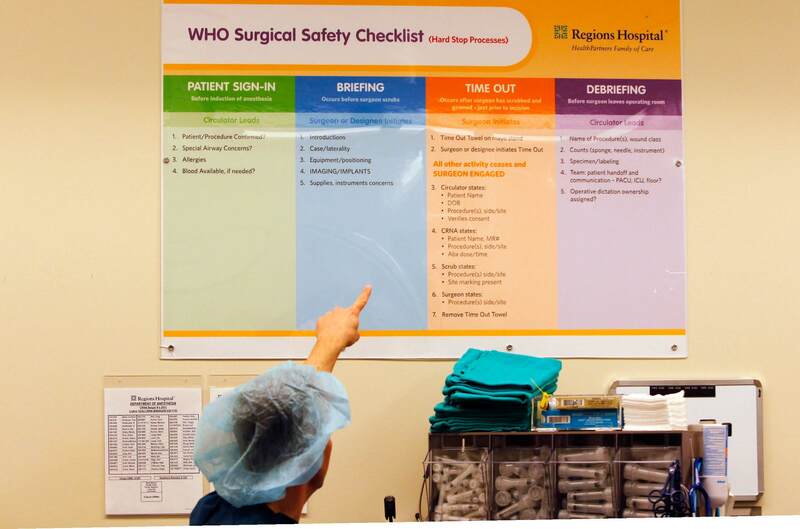 The WHO Surgical Safety Checklist has since been introduced in more than 4,000 hospitals worldwide. Gawande and his team have more recently applied this commonsensical approach to childbirth. Of the 130 million births globally each year, nearly 350,000 result in the mother’s death and 3.1 million in infant death during the neonatal period. “At times, the problem is inadequate resources,” said Gawande in 2011, “but often the issue is a lack of hand washing or screening for use of available antibiotics.” In southern India, the checklist-based childbirth safety program—dubbed the BetterBirth clinical trial—has reduced deaths and improved outcomes of both mothers and infants. In the fall of 2012, Gawande and his team launched a new center—Ariadne Labs, a collaboration between HSPH and Brigham and Women’s Hospital—to house the checklist program. Although keeping expenses under control will be essential for the sustainability of the U.S. Medicare program and more recent health care reforms, policies that focus only on lowering spending without accounting for the effects on health benefits and value may be counterproductive. Expanding access to efficient care is a far more important factor, says Katherine Baicker, professor of health economics. In a 2008 study in Oregon—a study already considered a classic in the field of health economics—Baicker and colleagues gathered data on low-income adults who were on a waiting list to be selected by lottery for Medicaid coverage. They wanted to gauge the effect of insurance coverage on health care use, physical and mental health, and financial stability. Baicker and her colleagues found that those gaining Medicaid coverage used more care—from doctors to prescriptions to hospitalizations—than did the uninsured. With that coverage came substantial reductions in financial strain and improvements in mental health and self-reported physical health, though no detectable improvements in several chronic physical health conditions. A Rwandan mother and her child at a malnutrition clinic in northern Rwanda. 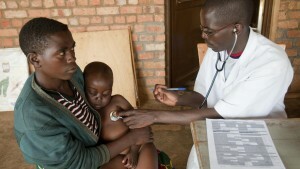 While universal health care is contentious in the U.S., Rwanda has had such a system since 2008. HSPH faculty have also been heavily involved in the United States’ latest experiment in national health care. John McDonough, professor of the practice of public health and director of the School’s Center for Public Health Leadership, advised U.S. lawmakers on health reform. In 2014, President Barack Obama’s Affordable Care Act will go into effect, giving U.S. citizens new access to health insurance. Although the expansion of government-subsidized health care remains contentious in the U.S., dozens of other nations have adopted the concept with great success. Over the last 20 years, HSPH researchers have examined those national health systems extensively, from decades-old universal health programs in Canada, Australia, and Europe to the younger universal system of Taiwan—a health care finance model designed by William Hsiao, the School’s professor of health economics, and now seen as one of the most effective examples of national single-payer health care. Hsiao also designed a plan—the New Rural Cooperative Medical System—that covers most of the hundreds of millions of previously uninsured individuals in rural mainland China.